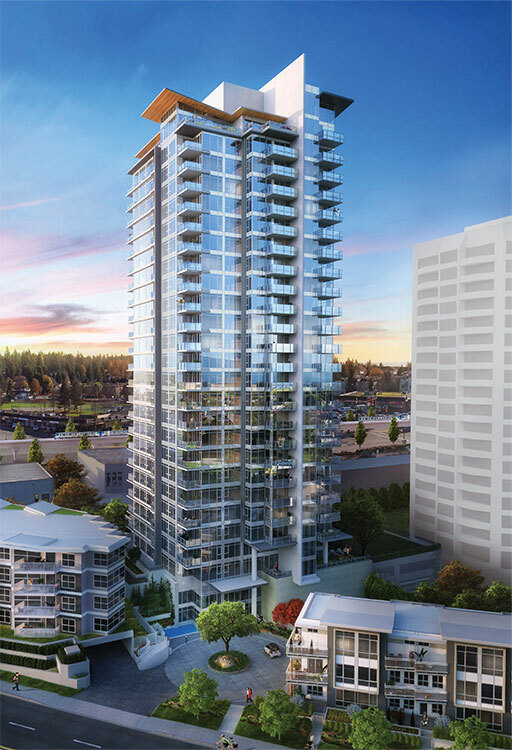 1, 2 and 3 bedroom homes designed with exceptional quality and steps from the future skytrain. Located close to Burnaby Mountain, Simon Fraser University, the future Evergreen Line SkyTrain Station, shops and services, Crown is your chance to buy the right place at the right time. Investing in a neighbourhood poised for growth is always a smart decision. And with Crown’s exceptional quality, impressive kitchens, and spacious floorplans, you’re not just buying a home, you’re planning a future. Rising 26 storeys, Crown’s stunning views, exquisite finishings and impressive West Coast architecture will be one of the first high-rise communities to complete in spring 2017 – just a few months after the Evergreen Line is in service. With exceptional quality and Beedie’s lasting value, you can add smart investment to the list of all the things a great home can do for you. *This is not an offering for sale. Sale can only be made by disclosure statement. Renderings are an artist’s conception and are intended as general reference only. Sales and marketing provided by MAC Marketing Solutions. E.&O.E.